5:30pmET: Two guys I think are lying about the severity of their injury and are unlikely to play: Ty Montgomery and Marcus Mariota. Montgomery bluffing to confuse their major Week 5 opponent -- Dallas. Mariota bluffing, likely, because the team just signed a 3rd-string QB...the tell-tale sign they are prepping for one or more weeks of issue. Bets thing they can do is rest Mariota to get to 100%. 80% Mariota is useless. Plan your fantasy activities around these two possible deflecting for gamesmanship. Jaron Brown -- Love him as a player. Not sure he'll have a follow-up, but I'm hopeful. He would have been #6. Elijah McGuire -- Will get touches and I think the Jets secretly like him more than Powell. Forte returning looms over all of them. Robby Anderson/Jermaine Kearse -- A one week rental. One of them is scoring as Josh McCown tries to pour it on Hue Jackson's bad secondary. Matt Breida -- If you didn't grab last week. A name in case Hyde's hip goes down and/or if the 49ers try to do something more interesting with him. Jerick McKinnon -- If you get Murray, might as well get JMK to go-with or just stake a claim in case Murray hurts that ankle. Aaron Jones -- I mean, rent him for a week if you want. I don't know that you'll get a week out of him. The Green Bay RB position has been a pit of despair for the past 2 years. Montgomery's excessive catches keep him in the RB1-2 conversation...I don't know that Jones is getting that same love this quickly. Plus, he's not a banger so he works with limited touches. He's a name if desperate. Jamaal Williams -- Less FF-interesting in PPR than Aaron Jones. Unsure he's ready this week. 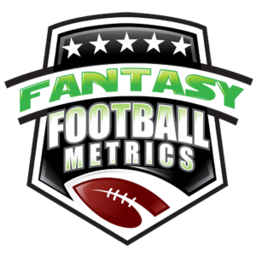 Week 5 projections will be out around 7-8pm ET. We will post a notice when they are. Trade For/Away, Waivers Top 5s, etc. Will be out around 12-pm ET. 2) 'Premium' Articles...stuff not meant for the outside world. Right in the middle, big block dates showing. 3) 'Standard' Articles...these are open articles and ones you have to work for. They are up the middle on the home page, but under the 'Standard' articles. You don't see new ones of these on most devices/screens without scrolling down a moment. Yes, it's convoluted but we're working on it -- apparently, not as easy to make everything just show up in order without a possible calamity messing with the set up. You can also see things more orderly under the 'R.C. 's articles' tab or Game Recaps from the top of home page. Also note -- 'Search' bar upper right...type in any player and what articles we've tagged to that player is there all in one spot. it will take time to build it up and chronicle the past but we're working on it.